bastion | Unity and Ubuntu – Tweaks you must know! The ten best-selling Ubuntu applications during the month of May have been revealed. What hasn’t been revealed is a surprise. Stormcloud, a desktop-based weather app, remains the top-selling app on Ubuntu for the 5th consecutive month in a row. This despite the forecasts shown being halved from 4 days to just 2 owing to a change in the Yahoo! Weather API. Unusually there are no new entries in last month’s chart, but two Minecraft installers, MC Launcher ($2.99) & Mini Minecraft Launcher ($4), do make a reappearance. Braid continues to sell enough to chart. Its appearance for May means it has now been in the Ubuntu’s Top 10 selling applications for 20 months in a row. The post Ubuntu’s Best Selling Apps for May 2013 appeared first on OMG! Ubuntu!. This entry was posted in bastion, List, minecraft, News, top apps on June 11, 2013 by unityadmin. 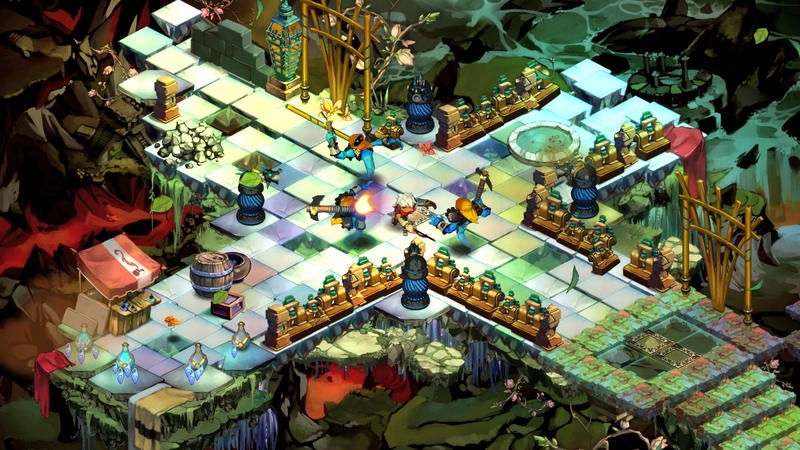 Beginning with Bastion, The Humble Bundle have opened a new game promotion deal: the Humble Weekly Sale. Since its inception, The Humble Bundle has raised both profile and quality of indie games alike. Their common model is to ship a ‘bundle’ of five or six indie games together, for a limited window of two weeks. You get to own the games for Linux, OSX, Windows, Android and Steam (all depending on availability). Most Linux versions are now available through Steam and the Ubuntu Software Centre. Why is this special? Well, you choose how much you pay for this bundle. Anything above 1¢ is acceptable — give a million pounds if you can afford it! (although you’ll only get a Steam key if you pay above $1). So what’s the catch? Only that if you pay above the average selling price, you’ll receive extra games — which doesn’t sound like much of a catch to me! Tuesday 19th March heralds the start of a new type of bundle: the Humble Weekly Sale. This will get you just one game, but for only $1. This should come as good news to anybody who has missed a particular bundle in the past and desperately wanted a certain game — although you’ll have to wait until it comes around! But what is the real allure of these weekly packages? Just as the usual bundles, there is an average price threshold. Should you choose to pay above this, you will get a selection of digital Bastion goodies including the soundtrack, musical score, ringtones and art pack. This digital art pack includes all game art as well as unreleased pieces of the game. If you are feeling really generous and pay $25 or more, you’ll receive a collection of Bastion merchandise. Of course, promotions like this mean a lot to us. The team at Humble Bundle have greatly assisted us Linux users in building up a collection of high quality native games. Many ‘indie’ developers find it difficult to produce and publish a game for several platforms, but with the money from these bundles and the statistical proof that Linux users will pay for their games, more and more developers are taking the chance. You can divvy out your money how you like: some to the Humble team, some to a charity, and most importantly some to the developers. Each week will bring a different game with new goodies, so keep your eye on humblebundle.com/weekly! This entry was posted in bastion, Gaming, humblebundle, humbleindie, humbleweekly on March 22, 2013 by unityadmin.